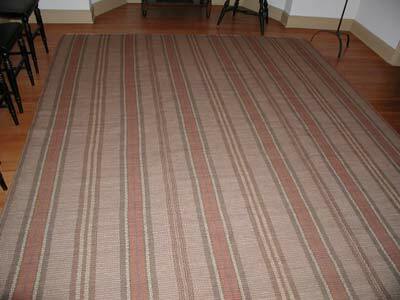 he weft(horizontal) is a brown old mustard color. 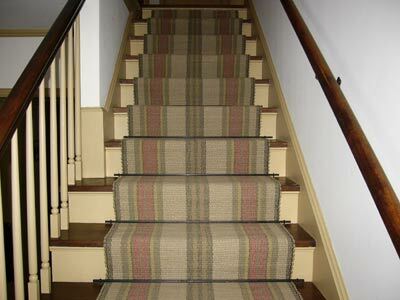 The warp(vertical) contains 2 sets of stripes. The bolder stripe is brown-red, sage, black. The secondary stripe is brown and tan. 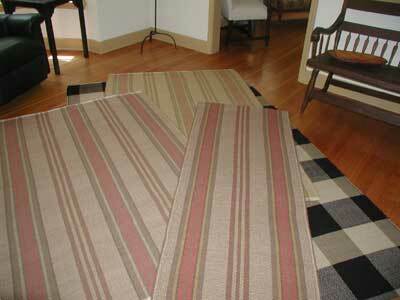 stairrunner shows secondary stripe in black und khaki.